It was Michael Jordan who first voted for the argyle trim. 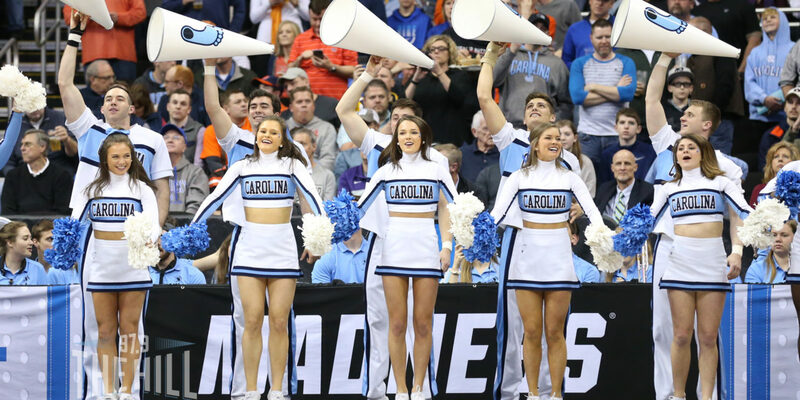 I spent some time with old friend and Chapel Hill icon Alex Julian over the weekend, and he recounted the story about how he redesigned the Carolina basketball uniforms almost 30 years ago. Dean Smith decided the bell-bottom warm-ups and the style of unies the Tar Heels had worn for the last 10 seasons or so needed a makeover. So he called Julian, the famous fashion designer who had recently done the old Charlotte Hornets togs. Though he had already made millions with some of his sportswear and formal wear, Julian admitted he was nervous upon getting the assignment of his life from the coach he had long idolized. “If I screwed up, I could never go home again,” said Julian, who then had his studios in Connecticut and New York. Julian said he went to work on several different designs and called Smith to tell him he was sending some samples down to Chapel Hill. The self-proclaimed dictator over an otherwise democratic basketball program, Smith said he wanted to show the designs to his coaching staff and players to get their opinions. Julian didn’t like that idea because, after all, what do basketball coaches and kids know about fashion design? So he came up with a brilliant idea. He suggested to Smith that he send what he had done to Michael Jordan, who by then was winning NBA championships with the Bulls, and of course was the first pro basketball player to have a shoe named after him – the Air Jordan. Alex packed up swatches of his designs and overnighted them to Jordan at the Bulls office in Chicago. Jordan liked the new argyle trim Julian had invented with various shades of Carolina blue woven in because, even back then, there were different light blues associated with UNC. When Smith later showed the designs to his staff and players, he prefaced it by saying that Michael Jordan had seen them and liked the argyle best. Which one do your think the committee here in Chapel Hill liked? They wanted to be like Mike, and the argyle, now gracing most of UNC’s garb, came to life. So not only did Julian craft the new uniforms around the argyle trim, he learned a valuable lesson in getting what he liked too.